The new kid in town means business. The Level intends to shake it up. The programme showcases artists who are defining the current trends rather than following them. Outside of genre, we collect a breadth of life affirming musicians and artists with something to say. 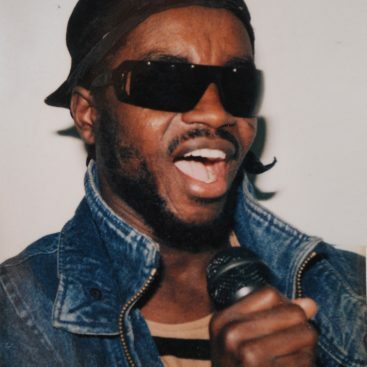 Ata Kak’s music has been legendary since Awesome Tapes From Africa made the mysterious Ghanaian singer/rapper’s tape its very first blog post. The auteur’s left-field highlife-hip-house is joyous, unique, irrepressible. Dele Sosimi Afrobeat Orchestra are afro-beat virtuosos, displaying danceable, hypnotic musicianship. Dele Sosimi played keys in legendary band Egypt 80 first under Fela Kuti and later under Femi Kuti’s leadership. Wilderness specialise in unique devised works and left-field collaborations. This year, we’ve commissioned a live performance of the cult album ‘Synthesizing: Ten Ragas To A Disco Beat’ by Charanjit Singh – which was produced in 1982 using a Roland 303. The album pre-dated acid house by 4 years. It’s been called the first acid house record. Danalogue – one member of the cosmic, Mercury-nominated trio The Comet is Coming – will perform the album in its entirety. Now that’s life affirming. Other highlights include the unstoppable Steam Down: the artist collective, weekly event and music community based in Deptford, Beating Heart – the ensemble who invited musicians, artists and producers to remix the world’s largest single collection of vintage African recordings, a special takeover from On The Corner – Winner of the Worldwide Awards label of the year 2018 – which includes a one-off back-to-back from label boss Pete Buckenham and Tom Ravenscroft of BBC 6 Music. Onipa are an electronic afro-disco duo born out of deep collaboration between long-time friends K.O.G (Kweku of Ghana of K.O.G and the Zongo Brigade) and Tom Excell (of acclaimed jazz/soul afrobeat pioneers Nubiyan Twist). Onipa means ‘human’ in Akan, the ancient language of the Ashanti people of Ghana. It’s a message of connection through collaboration: from Ghana to London, our ancestors to our children, Onipa brings energy, groove, electronics, afrofuturism, dance and fire. The super high-energy Otim Alpha & Kampire from Ugandan label Nyege Nyege Tapes will be making you dance. And Tim Garcia runs the global music platform Música Macondo which puts on regular events at London venue The Jazz Café and hosts a late night Jazz FM show which focuses on a wide range of music including Jazz, Latin, Afro, Eastern and Electronic sounds. There are too many other artists to mention here. The best way to understand this unmissable programme is to tune in to our playlist. And then touch down at The Level for this fresh, fiercely energetic and diverse line-up.